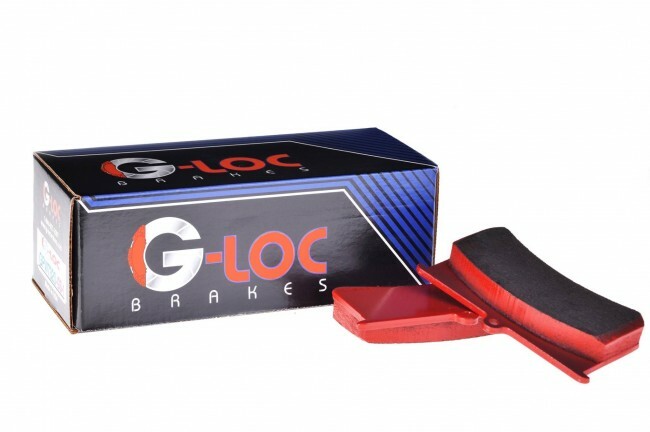 The G-Loc™ GS-1™ is our high performance street compound. GS-1™ produces very little dust and very little noise, while maintaining excellent initial bite and torque for street use. GS-1 has been unmatched in the industry for disc/rotor friendliness as well as its longevity. This compound's excellent performance on the street provides incredible braking force without ABS intervention. G-Loc™ GS-1™ operating range starts at ambient up to 800°F (426°C). GS-1™ is suitable for ALL street cars, tow vehicle, fleet vehicle, and armored vehicles. G-Loc™ GS-1™ is NOT recommended for ANY track use.